As they say, accidents happen, and unfortunately, sometimes they can happen to your teeth. If you or one of your loved ones suddenly experiences a dental injury, your first call should always be to Bristol Family Dental. We are the best place for you to get the urgent dental care that you need. When you call in, Dr. Ross Katkowski and our team will immediately spring into action. We’ll make an appointment to see you as soon as possible (even the same day! ), and our team will start to walk you through basic first- aid over the phone. Tooth pain can have various causes, including decay, infection, or a damaged restoration. 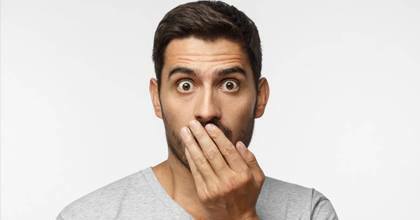 You should avoid chewing on the side of your mouth that hurts. Mild OTC painkillers can help to mitigate your discomfort. However, you shouldn’t apply pain medications directly to the gums because they can cause chemical burns. For topical relief, you can apply a bit of clove oil to the area. Only touch the tooth’s crown (the part you normally see above the gum line) when you pick it up. Gently rinse any debris off the tooth. Keep the tooth moist. You can gently replace it in your mouth or keep it in a glass of milk. As a last resort, put it in water. 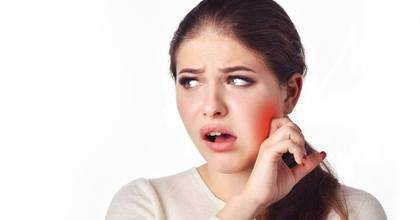 An abscess is a pocket of infection in the root tip of a tooth or in the gums next to it. It can cause serious symptoms, including a severe toothache, extreme tooth sensitivity, and systemic illness. 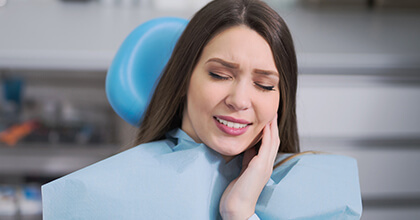 If you suspect you have an abscess, the best thing you can do is avoid chewing on the side of your mouth that hurts and visit your dentist as soon as possible. A root canal treatment may be able to save your tooth from extraction. If a fever or swelling in your face accompanies your abscess, and for any reason you cannot reach our team, you should visit the emergency room at the nearest hospital. Don’t try to continue using a broken denture. Doing so could lead to gum irritation and mouth sores. When you visit us for your emergency appointment, we may be able to repair your prosthetic. If that isn’t possible, we’ll recommend that you replace it. 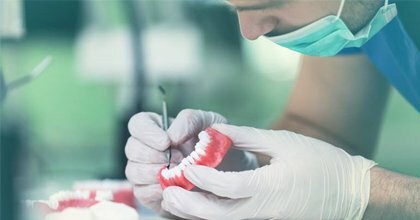 Crowns and fillings are in place to protect damaged, weak teeth. When one of these restorations becomes dislodged, you may experience some pain and sensitivity. Avoid chewing on that side of your mouth, and use clove oil or a mild painkiller to manage your discomfort. 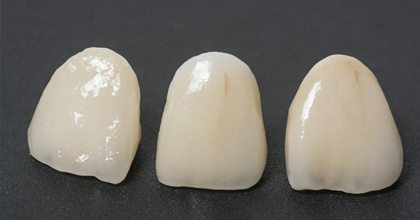 In some cases, it might be possible to temporarily reattach a lost crown with a mild dental adhesive from your local pharmacy so your tooth has at least some protection while you’re waiting for your appointment with us. If the crown is broken or misshapen, do not try to force it back onto your tooth. Use a clean rag or towel to apply firm pressure to control any bleeding. Apply a cold compress to manage any pain or swelling. Remember, when you need emergency dental care, be sure to call us first! We can also provide urgent care for Plainville, Farmington, Burlington, and Southington.